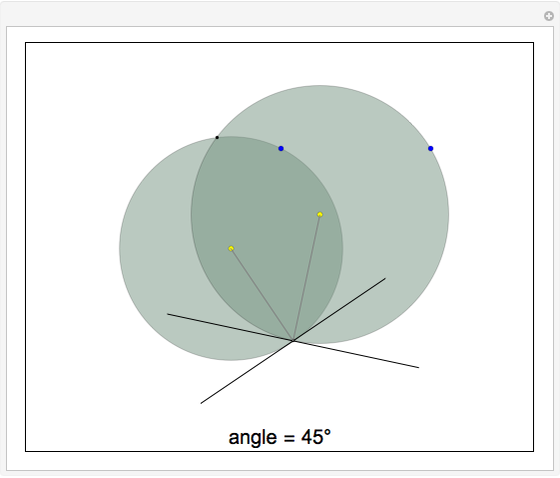 The angle of intersection of two overlapping circles is defined as the angle between their tangents at either of the intersection points. 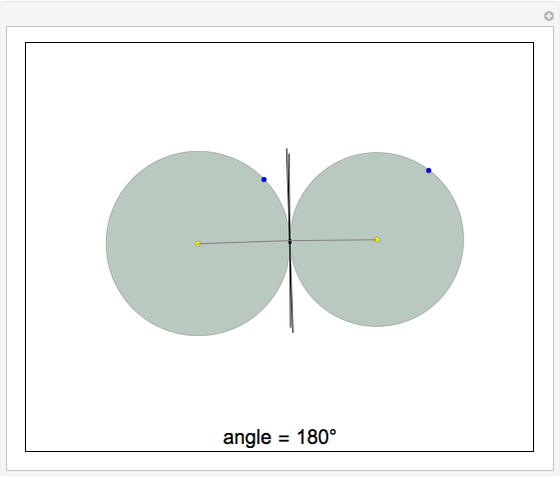 When the angle is 180°, we say that the circles are tangent. 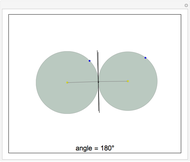 When the angle is 90°, we say that the circles are orthogonal. Drag the yellow or any of the colored points to change the circles. 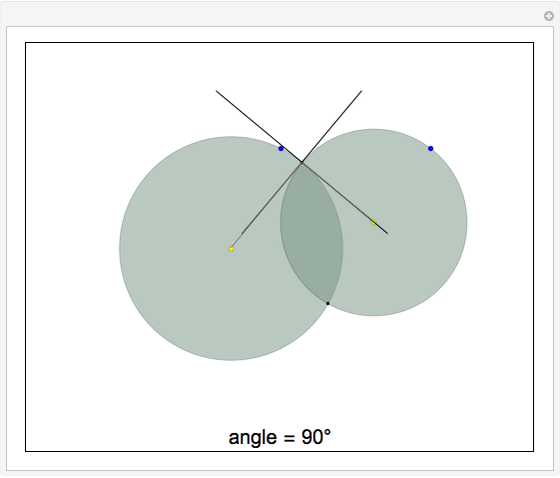 Jaime Rangel-Mondragon "Angle of Intersection of Two Circles"